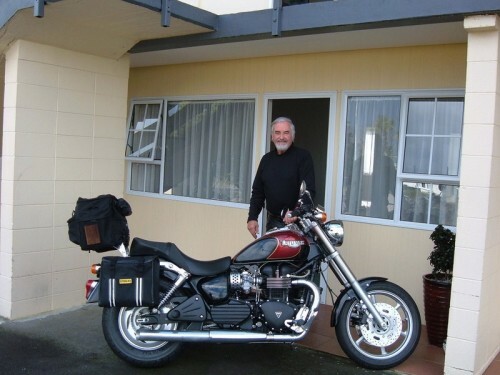 September, 2012 | Triumph Owners Motor Cycle Club NZ Inc.
Hawkes Bay area is gathering momentum! Their runs are posted on the event calendar and they are establishing a chapter – so forget about wine, apricots and art deco get in there and give them a hand! 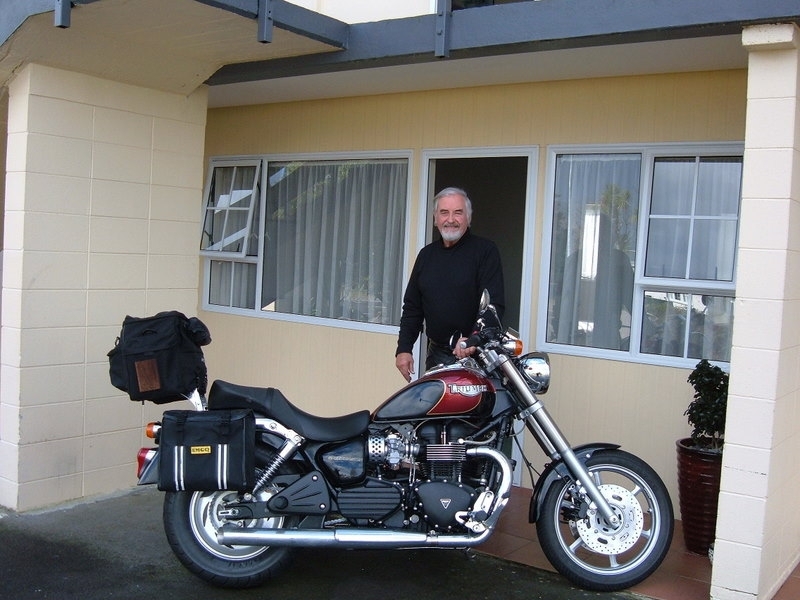 contacts are Donald Hislop trumpyone@gmail.com (thats him in the photo) or Steve steverk@xtra.co.nz. More details and progress will follow as they come to hand. Don exiting a seedy motel?